I’ve been busy, and it hasn’t had anything to do with cooking. See that picture? 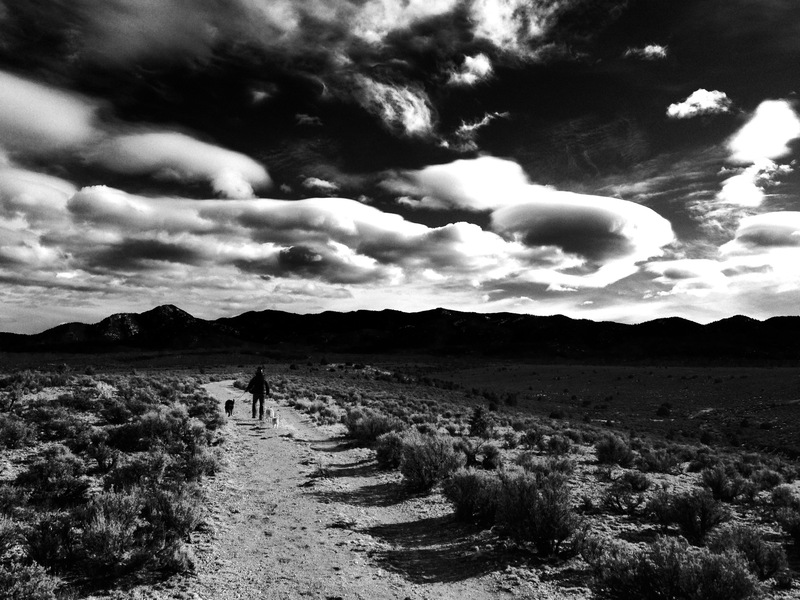 That’s Rhonda and our dusty dogs – Ellie, Bella, and Leroy hiking in the high desert outside of town this week. The temperatures have been mild – in the 30’s & 4o’s during the day – and that bright New Mexico sun hangs high warming the afternoons pretty much daily. I have to get outside and be in that sunshine everyday or else – you know emotionality! This week, at the Dusty Dog, the sun has dipped down behind the mountain around 3:49 every afternoon, so my opportunity to commune with the sunshine is limited – not that I’m actually monitoring the situation that closely. But, back to hiking – the hike we did this week in the picture above was a dirt road trail that ran along the Rift Valley Trail, which is located just off the road on State Highway 68 South heading toward Santa Fe. We kept seeing signs for the Rift Valley Trail as we made our way toward the gorge, but we didn’t seem to be on the Rift Valley Trail. Our path was more like a two mile dirt road leading to an amazing view of the Rio Grande Gorge, which has recently been declared the Rio Grande del Norte National Monument. From where we stood approximately 800 feet above the river, we could see all the way to the bridge in Pilar. 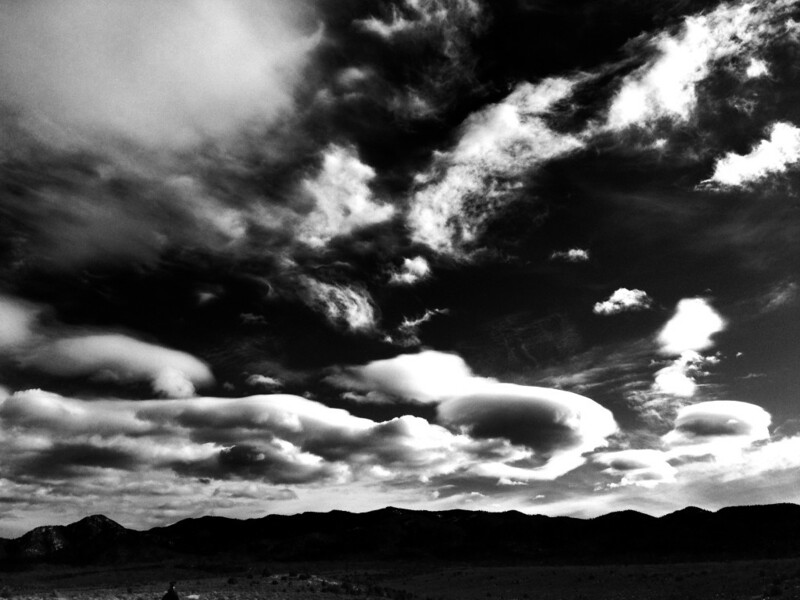 Unfortunately, that bright New Mexico sun wasn’t cooperating with me and my Iphone’s fancy Ansel Adams-like camera setting. Take my word for it though, the view was magnificent. 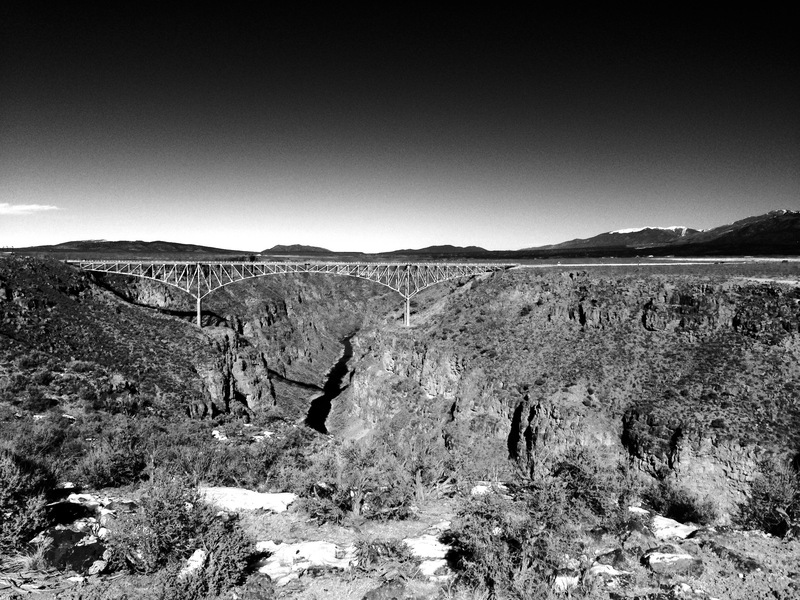 Last week, we did the West Rim Trail out by the Rio Grande Gorge Bridge. That’s the Rio Grande Gorge Bridge you see there in the distance as seen from the West Rim Trail. That snake of black under the bridge is the Rio Grande slicing through the deep canyon. I loved both of these trails because they were easy. I know, it’s hard to believe, but it’s true – I like an easy trail. I’m the first to whine if a trail is too hard, and don’t even think about taking me on a trail where you go down first then up. I will complain and whine a LOT, and you will not have fun. All of that aside, both of these hikes were amazing and not what I had planned to talk to you about this week. And now, you’ll have to wait another two weeks before I unveil my Turmeric Tonics (I know you’re on the edge of your seat) because next week, Rhonda and I are heading to Dallas for work. I’m sure there’ll be something blog worthy that happens, so until then, make sure you get out in the sun everyday. It’s good for you – like soup but more fun. This entry was posted in Exploring, Uncategorized and tagged Hiking, New Mexico, Pilar, Rift Valley Trail, Rio Grande, Rio Grande del Norte National Monument, Rio Grande Gorge, Sunshine, Taos, West Rim Trail. Bookmark the permalink. These pictures you took were fantastic . We miss you both and look forward to seeing the three of you! Lisa: call me when you get in. I’d love to meet you for lunch or early dinner! Love the b&w photos. I remember going to the Rio Grande Gorge when I was a kid. Lisa, you are so fortunate to live in that beautiful state of New Mexico. Enjoyed your natural photo’s and descriptions and comments. I love the state. As you make your day trips, I hope you will have room in your messages to continue/expand on related natural photography, including the relative location of where you are, approximately how to get to the area and your very descriptive highlights. Good Job!